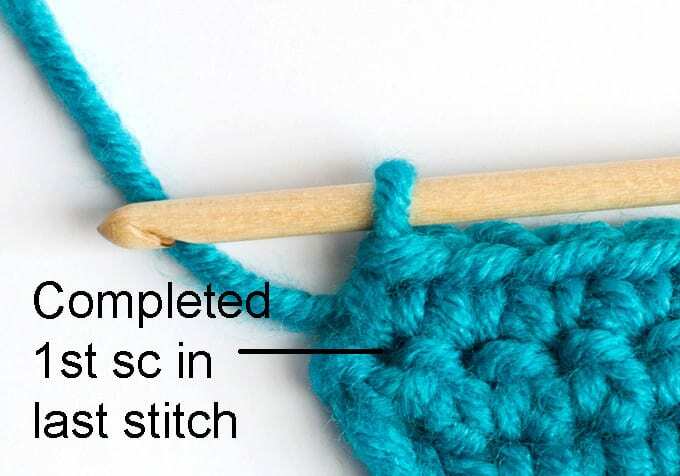 Learning how to increase and decrease stitches in crochet will enable you to make shaped pieces–if you want to make amigurumi, crochet in a circle or make garments, you will need to know how to increase and decrease. First up: How to Increase in Crochet! 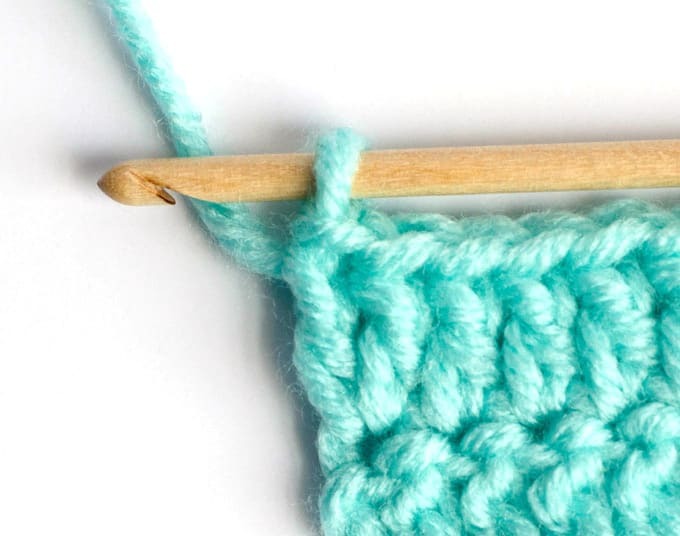 Working a basic increase in crochet is super easy because you just do 2 stitches in the same stitch! If you are reading a pattern, it may call an increase “inc”. Other times, the designer will simply just tell you to 2sc (or 2 dc, etc) in the next stitch. Both mean the same thing: work 2 stitches in the same stitch. When an increase is worked at the beginning of a row, the work will slant to the right. This is a single crochet increase. 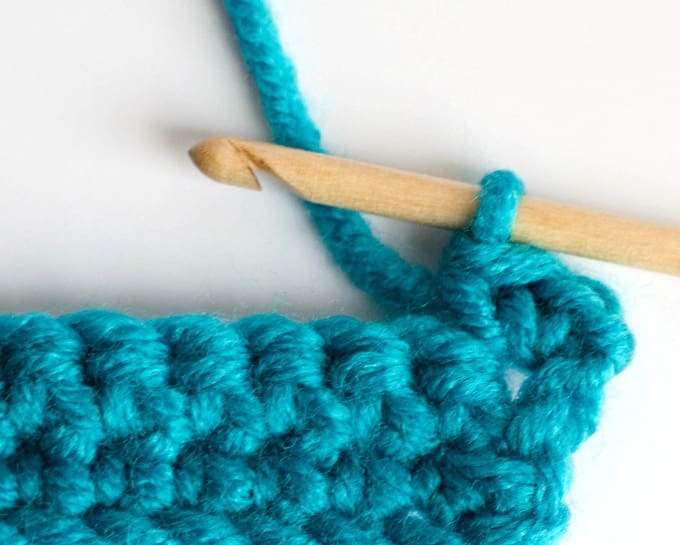 Single crochet in the first stitch and then single crochet in the exact same stitch. Want to know how to increase in crochet at the end of the row?! 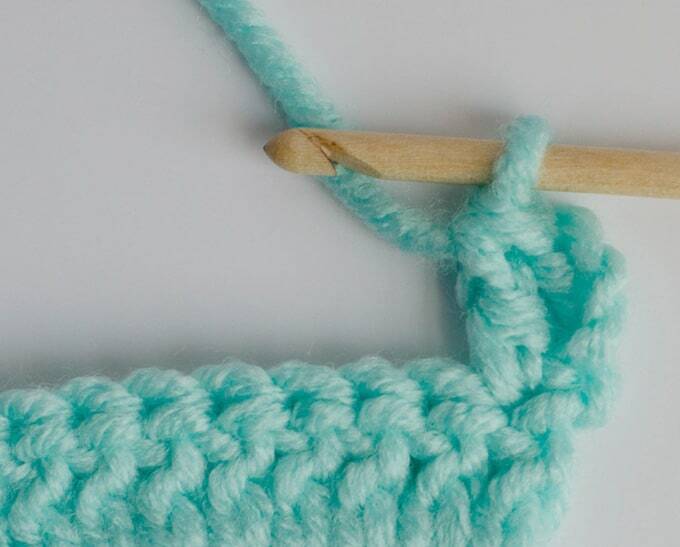 You guessed it… simply crochet 2 stitches in the same stitch. This will make the work slant to the left. Double crochet increases work the same way. You might remember that a new row of double crochet starts with a turning chain. This chain counts as the first stitch. 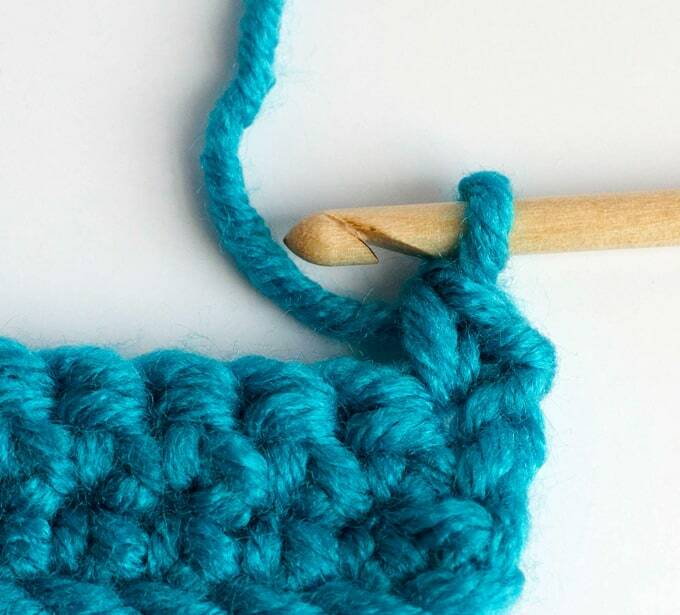 So to increase in double crochet at the beginning of a row, the turning chain counts as the 1st stitch, then a double crochet is stitched in the first double crochet from the row below. If working an increase in the middle of the row, 2 double crochet would be worked in 1 stitch. 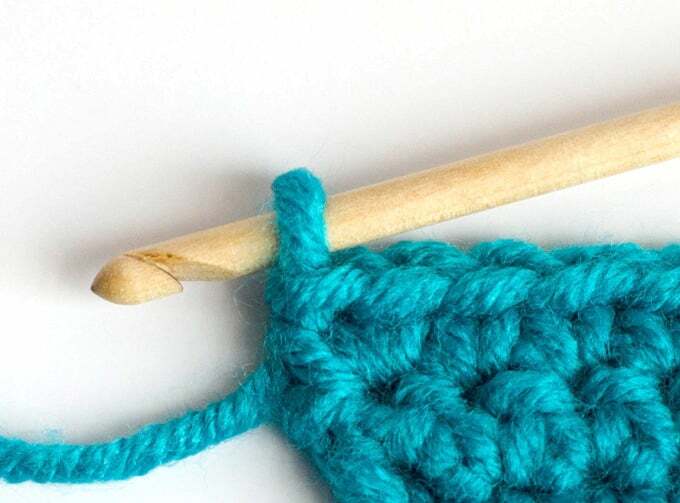 Similarly, a double crochet increase at the end of a row simply has 2 double crochet in the last stitch. Increases in other stitch lengths work the same way. Easy peasy! You now know how to increase in crochet!